During this course we will teach you some minuets. One of those will be the minuet fantaisie for 2 gentlemen and 4 ladies. This dance gives you plenty of opportunities to be creative and add some drama to the scene while dancing. You don’t need to bring a partner, we will switch around a lot. No dance experience is needed either. 29th of April, 6th, 13th, 20th and 27th of May and 3rd of June. Do you want to join? Please register no later than the 21th of April via info@lesgaisgalants.nl. If you know you can’t attend one of the lessons, please let us know with your registration. If you have any questions you can use the same e-mail address. We will not be able to teach this course if we don’t have enough people attending. We will let all participants know on the 22nd of April whether the course will take place or not. You can expect all practical information containing the dates, location and payment information in the same e-mail. During this course we will teach you some figure waltzes. These dances are danced as a couple and contain a lot of different figures you make with the two of you. We will learn the Austrian Ländler (a different variant can be seen in “the Sound of Music”) and a new dance originating closer to home. You don’t need to bring a partner, we will switch around a lot. No experience with waltzes is needed either. Do you want to join? Please register no later than the 13th of January via info@lesgaisgalants.nl. If you know you can’t attend one of the lessons, please let us know with your registration. If you have any questions you can use the same e-mail address. We will not be able to teach this course if we don’t have enough people attending. We will let all participants know on the 14th of Januray whether the course will take place or not. You can expect all practical information containing the dates, location and payment information in the same e-mail. 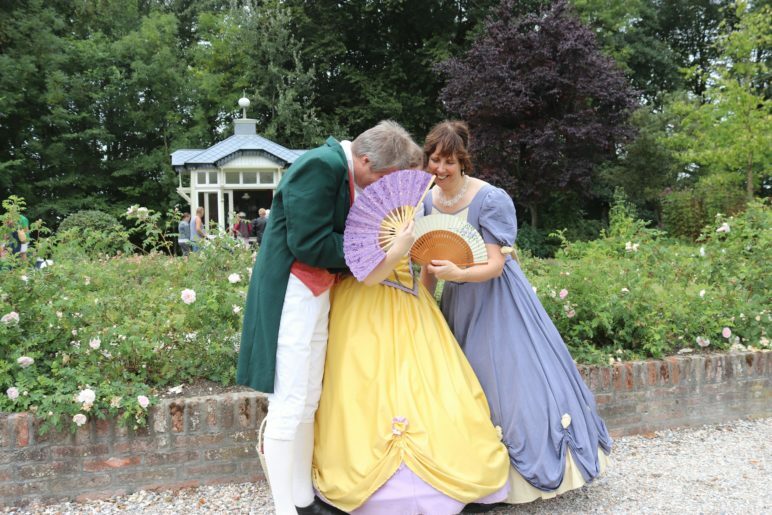 On Sunday the 25th of November, Les Gais Galants will organize a course-in-a-day for the Polonaise, written by Gretel van Bruggen with music from Tsjaikovski. This is a spectacular dance full of variation. The gentleman will click their heels while the ladies gracefully move around the floor. During the day we will dance for 5 hours and 1 hour will be reserved for breaks. We will arrange lunch for all participants (included in the price). On Saturday 24 November Plaisir Courtois organizes workshops in Groningen. People that travel far and would like to attend both activities, are welcome to stay overnight at our course-in-a-day location (with Odilia and Hendrik-Jan). Do you want to join? Please register no later than the 21th of November via info@lesgaisgalants.nl. Please let us know if you have any food allergies or if you need a place to stay. If you have any more questions about this course, you can use the same e-mail address. We have enough participants for the course at this moment, so we will definitely teach it. After registration you will get an e-mail. This e-mail will also contain all practical information and information about payment. Time flies when you’re having fun! The past weeks we have learned a lot of things in the classes of Kasper en Enti (in our new LGG t-shirts). Besides dances we’ve know for a long time, like the Indian Queen, Hole in the Wall and Sellengers round we also learned the Sir Roger de Coverley and the Trenchmore. Combining familiar and new figures and interesting new music, makes learning these new dances a lot of fun! Curious? These and more of the new dances will be thought again during our course-in-a-day on Saturday the 22nd of June! More information on this course-in-a-day will be available in May. Minimum number of participants reached! 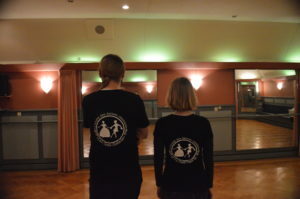 We reached the minimum number of participants for our English country dances course! This means the course will start as planned. Did you forget to sign up? We extended the deadline until the 29th of September! All the course information is listed on this page. Monday the 10th of September from 19.30-21.00 we will organize our open dance class! 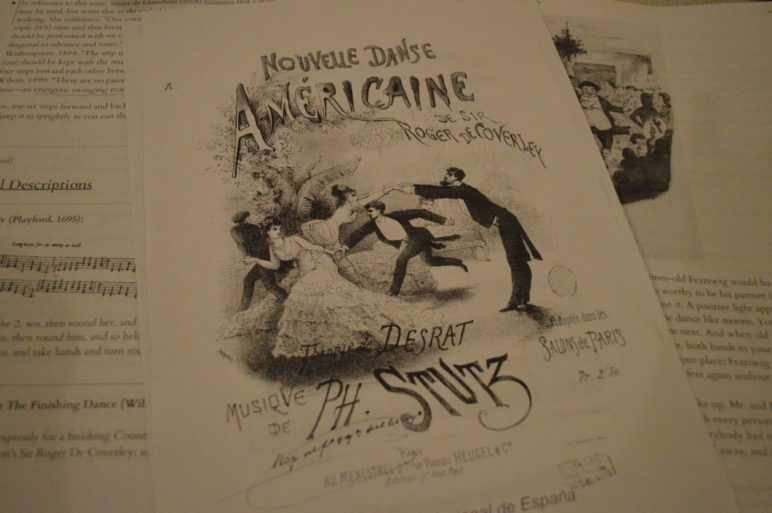 Do you want to see if historical dancing is something for you, for free and without any commitment? This is your chance! 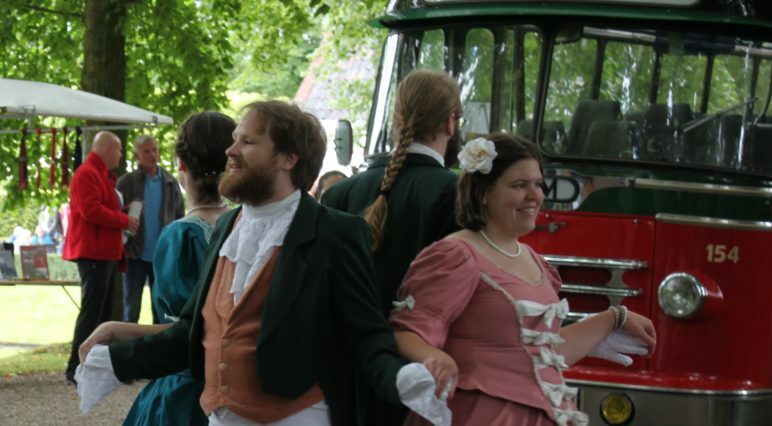 We will explain (parts of) a few of our dances and will do some short demonstrations. You will see almost every style of dancing we do. 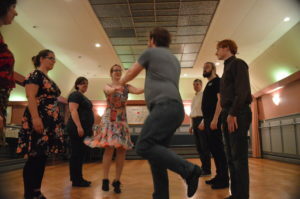 No experience with dancing and/or no dance partner? No problem! If you want to join, sent an e-mail to info@lesgaisgalants.nl. You will then receive the exact location as well. We do not put this online, because our studio is part of someone’s house. The studio is in the city centre of Groningen. When you decide to come within an hour from the start of the class, it’s better to give us a call! Please look at our contact page for a phone number. 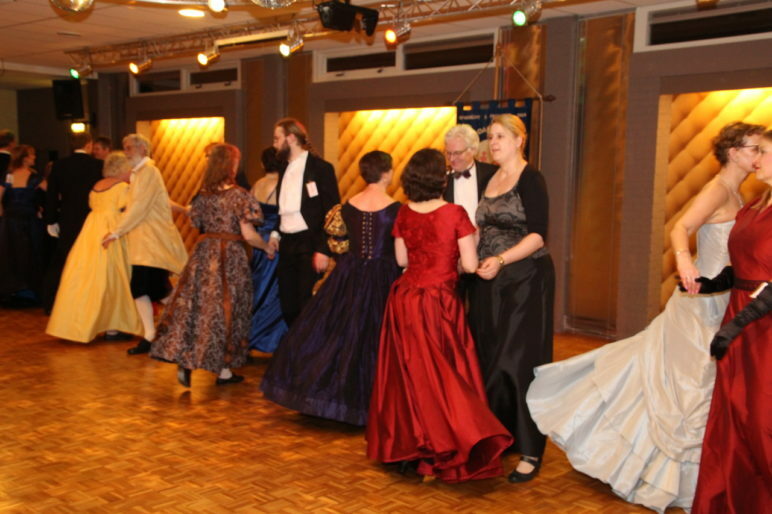 During this course you will learn multiple English country dances. 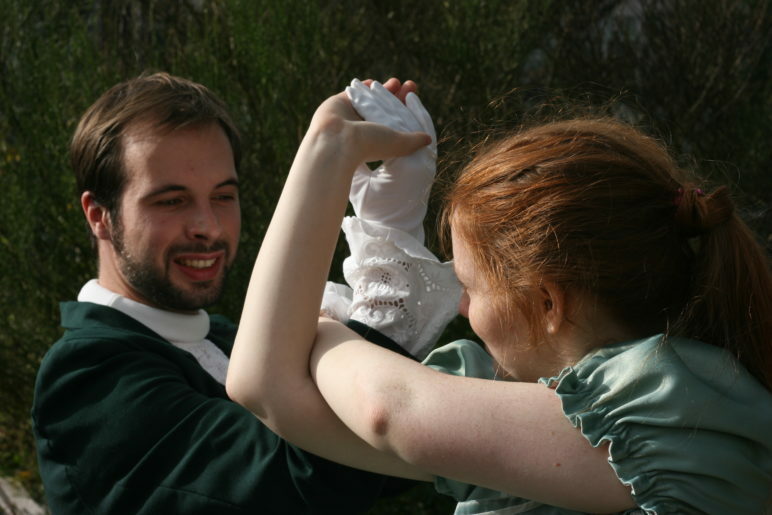 We will teach dances that have been in our repertoire for a long time, but also new dances. 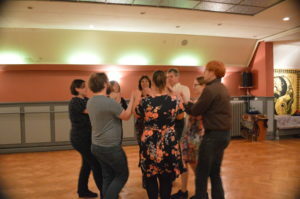 This makes the course suitable for people that have been dancing with us as well. Many of the dances use the same figures, which makes them the perfect place to start for beginners! Do you want to come dance with us? Please sign up before the 29th of September by sending an e-mail to info@lesgaisgalants.nl. If you know beforehand that you will not be able to make it for a certain lesson, would you please let us know in advance? If you have any questions about the course, you can use the same e-mail address to contact us. When you signed up, you will receive an e-mail with all practical information about dates, exact location and how to pay the course fee. Les Gais Galants proudly presents to you our new website! Here you will find all the information you need about dance courses and other activities. Enjoy looking around! Did you spot a mistake? Is there information missing? Or do you have tips about how we can create a better user experience? 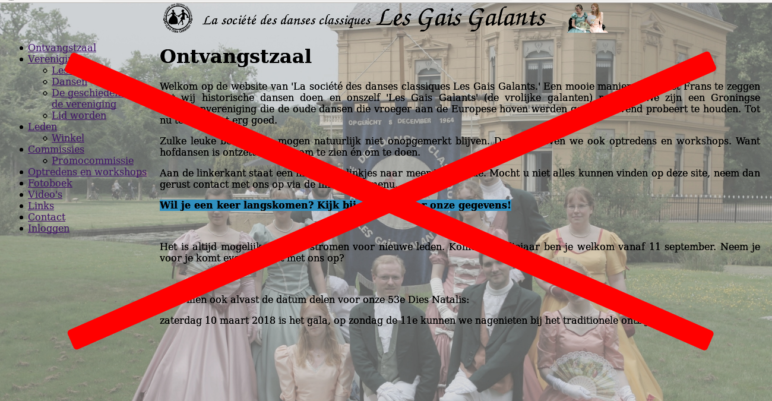 Please e-mail to webmaster@lesgaisgalants.nl !